Here is a tutorial video on how to make your own D.I.Y belly dance cane at home. 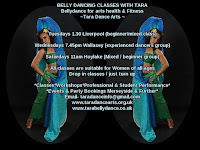 Great for students belly dancer, Belly dancing Teachers who want to teach cane routines & technique at class or anyone wants to have a go. Enjoy.